My people thought it was too radical of a procedure to do on me. After all, I was nearly 10 years old and not exactly a spring chicken. Instead we opted for metronomic chemotherapy , which gave me 7 more great months. But ever since then, my people wondered, “What if we had done the lung lobectomy?” Could it have helped me live longer and happier? They never knew of another Tripawd with osteosarcoma who had been through this procedure, until Jabba. Jabba-Bear is a 2 year old German Shepard/Border Collie mix from North Carolina who joined the Tripawds community after he was diagnosed with osteosarcoma in January 2011. He sailed through chemotherapy and for nearly two years Jabba lived cancer-free without that left rear leg. The metronomic chemotherapy regimen was working well. Cyclophosphamide and palladia also seemed to help keep the cancer away. Then in January of this year, Jabba appeared sick with symptoms like excessive eye mucous, lethargy, mild coughing and redness of his eyes. Sadly, lung tumors appeared to be the culprit. On Monday, February 18th, Jabba-bear was admitted to Carolina Veterinary Specialists (CVS) upon referral from his primary veterinarian (Oldtown Veterinary Hospital). By that point, Jabba’s condition was critical. It was clear that if we didn’t act fast, he would die…soon. What follows is an amazing, cliff-hanging story about this pack’s decision to give their young, energetic dog another chance at life by allowing his veterinary team to remove the portion of his lung that contained the tumor. Seeing how well Jabba has recovered gives my people hope for a lot of dogs who get the bad news that lung mets are present. Would they have done things differently for me if they had really known how well dogs can do after this procedure? Probably not. But what’s right for one dog isn’t always right for another. if you are facing this decision we urge you to do your research so you can feel comfortable with whatever path you take at this point in your cancer journey. It’s not easy to find information online about dogs who have been through the lung lobectomy procedure when osteosarcoma has metastasized to this part of the body. 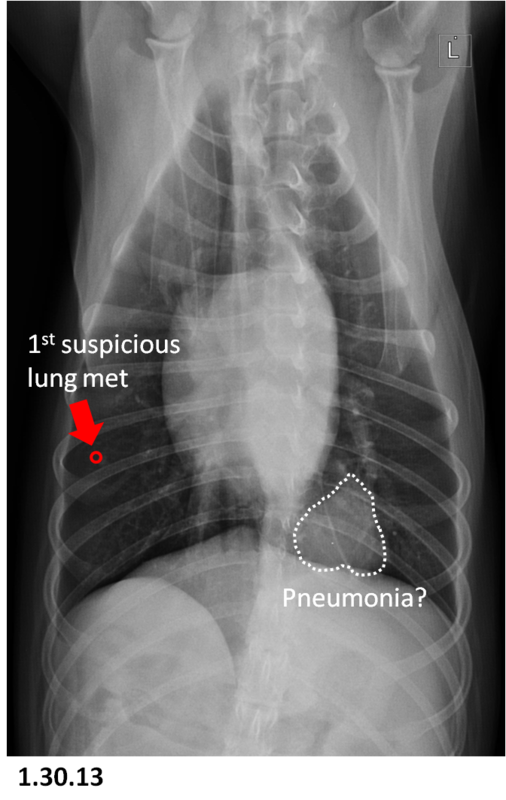 Most dogs and cats who have this procedure will undergo it because the lung tumor is a primary cancer tumor, not metastasis from osteosarcoma. The good news is, studies indicate that most dogs recover with few complications and eventually succumb to something other than lung metastasis. Here is what we found so far. If you have any resources to add, be sure to comment below. Unbound Medline: Thoracoscopic lung lobectomy for treatment of lung tumors in dogs. PubMed.gov: Pulmonary metastatectomy in the management of four dogs with hypertrophic osteopathy. 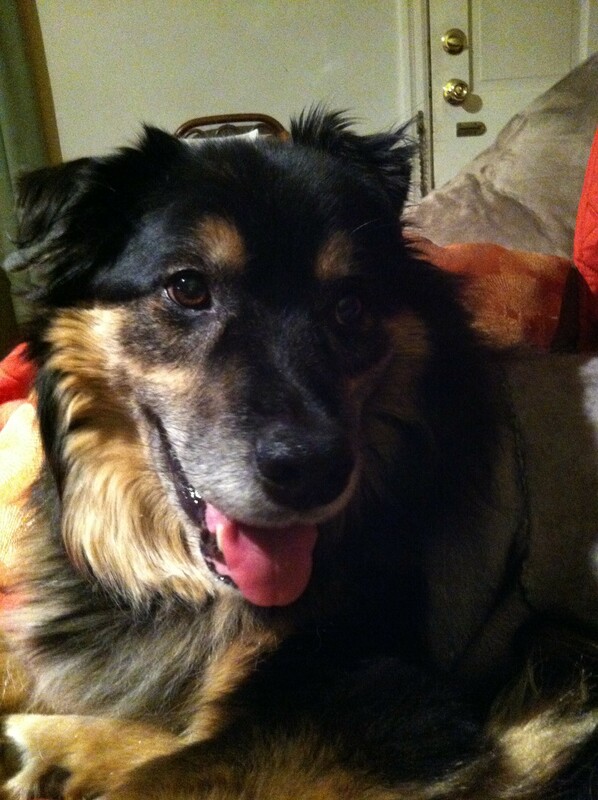 Tripawds sends all the love and get well wishes in the world to Jabba-Bear for a long, healthy life ahead. We thank his pack for sharing this eye-opening, hopeful journey with us.